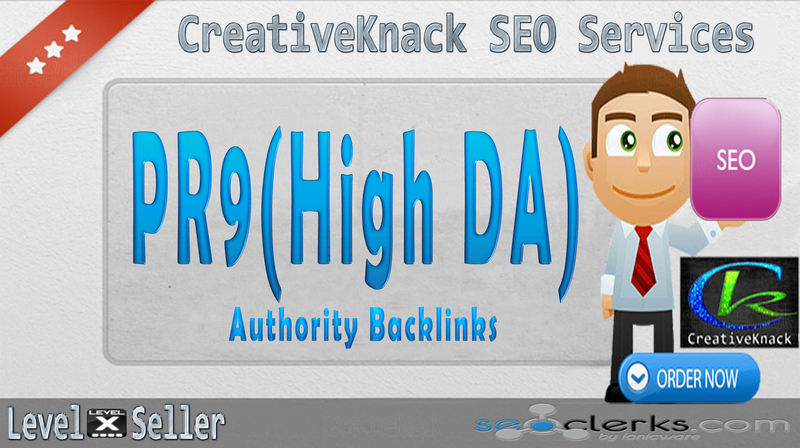 High-quality PR9 Backlinks which will boost your website rank and SERP. High PR Authority Profile Backlinks is one of the most effective ways you can start spreading the word about your website. That’s a natural way of getting organic, trustworthy backlinks and become an authority in your area of expertise. Links built in this manner are relevant, qualitative and totally Penguin safe, thus, this service is the key tactic to dominate the rankings. ✓Not all links will be anchor link.mix of anchor link and non-anchor link. 40+ PR9 High Authority Backlinks only is ranked 5 out of 5. Based on 279 user reviews.